Archaeologists believe thousands of bones unearthed from a Danish bog are the remains of an epic battle 2,000 years ago. Thousands of bones from boys and men likely killed in a ferocious battle 2,000 years ago have been unearthed from a bog in Denmark, researchers said Monday. Without local written records to explain, or a battlefield to scour for evidence, experts are nevertheless piecing together a story of the Germanic people, often described by the Romans as "barbarians" for their violent nature. 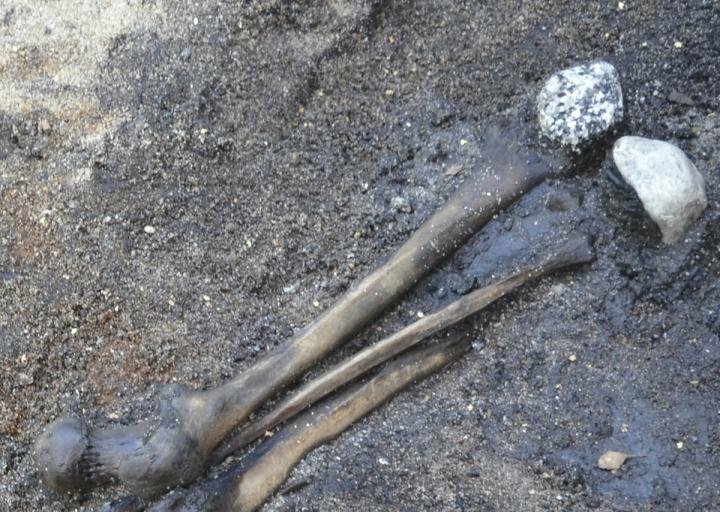 Four pelvic bones strung on a stick were among the remains of at least 82 people found during archaeological excavations at Alken Enge, on Denmark's Jutland peninsula, indicating an organized and ritual clearing of a battlefield, said the report in the Proceedings of the National Academy of Sciences. The site, which has been studied since 2009, has yielded the earliest discovery of "a large contingent of fighters from a defeated army from the early first century AD," said the PNAS report. 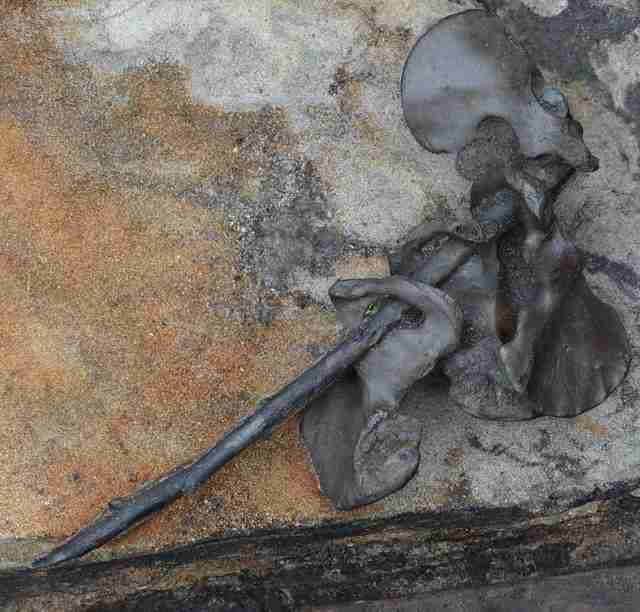 "The bones are extremely well preserved," co-author Mette Løvschal, of the department of archaeology and heritage studies at Aarhus University, told AFP. "And you can see stuff that you can normally not see in them, like the gnaw marks of animals and you can see the cut marks from sharp weapons. That is highly unusual," she said. The more than 2,300 human bones were contained in peat and lake sediments over 185 acres (75 hectares) of wetland meadows. Radiocarbon dating put them between 2 BC and 54 AD. In this era, Roman soldiers were pressing an expansion northward, and around 7 AD, the Romans suffered a massive loss in which tens of thousands of warriors were killed by the Germanic people. "What they do in the succeeding decades is have these military raids in Germania, basically to punish the barbarians for this huge defeat," said Løvschal. "What we actually think we are seeing here could be the remains of one of those punitive campaigns." Løvschal said the bones appear to be from a "fairly heterogeneous population," with some as young as 13 to 14, and others as old as 40-60. The bog is estimated to hold the remains of around 380 men who died from combat injuries. "They do not seem to have a lot of healed trauma, from experience with previous battles," she said. "They could have had previously very little experience with battle." The bones show weapon strikes predominantly on the right side, with few injuries around the midsection where the fighters may have been holding shields with their left arms. Experts think the bodies may have been lying on the battlefield for quite some time, possibly six months to a year, because many bones show signs of being gnawed by dogs or wolves. They were stripped of their personal belongings before being deposited into the bog. Many questions remain. Who was involved in the battle? Was it tribe-against-tribe, or Germanic fighters against Roman warriors? And what is the meaning of stringing pelvic bones on a stick? "Those four pelvises on a stick could almost point to having connotations to sexual humiliation," said Løvschal. "It seems to have aggressive undertones to it as well. So it has been difficult to say who did it." Archaeologists could also see another telling change in the landscape after the battle. Once a pastoral area including cropland, forest and grassland, it changed dramatically into a densely forested landscape for the next 800 years, said Løvschal. "It suggests that this event had a huge impact on the people who lived there," she added. "There was a large-scale trauma to the community."